Did you know that Gabriel & Co. is a jewelry company led by two brothers, Jack and Dominick? Fine jewelry is often offered to celebrate a family or couple’s special moment , then passed on to a new generation. When you buy a ring made by a family with a passion for design and craftsmanship, it makes your purchase even more meaningful. Dominick is Gabriel & Co. head designer. Earlier this year at the Centurion show we got to chat with Dominick about his new and exciting 2018 engagement ring collection. 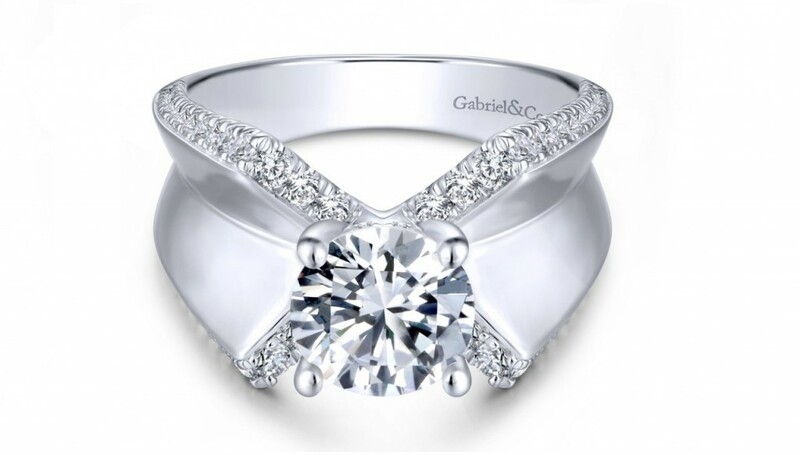 Gabriel & Co. offers an extensive collection of engagement rings from classic to alternative, modern to vintage and catering to every budget. Dominick, why is it important when you design to make sure every woman can find her dream ring on your site and in your stores? Every person is unique and special, and we want to make it easy for them to find their perfect ring. Our passion is to bring joy to people’s lives, with something for everyone. 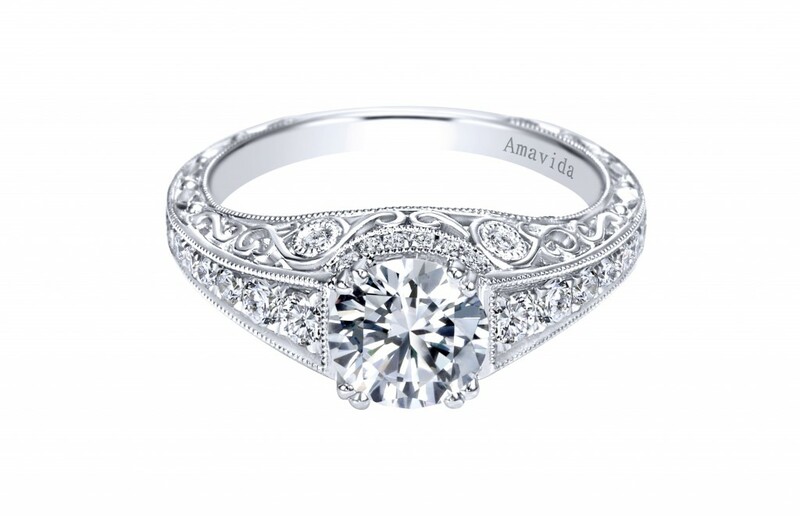 Your collection includes an array of platinum vintage style engagement rings. What’s your current favorite? Why do you think vintage details look so good in platinum? At the beginning of the 20th Century, most designers used platinum in their vintage collections because delicate filigree and lace work were very popular. Platinum was the perfect metal because of its durability, ensuring it to last for generations. 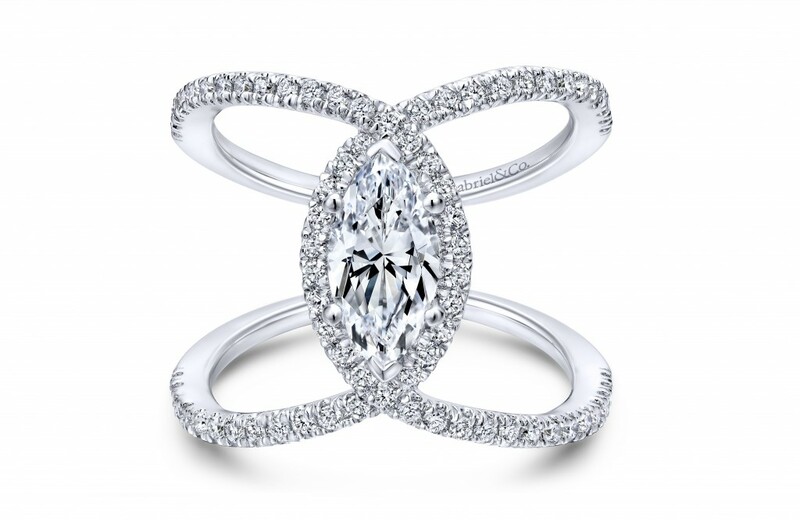 Keeping true to the past, we like creating new vintage styles using platinum because of its durability and strength. 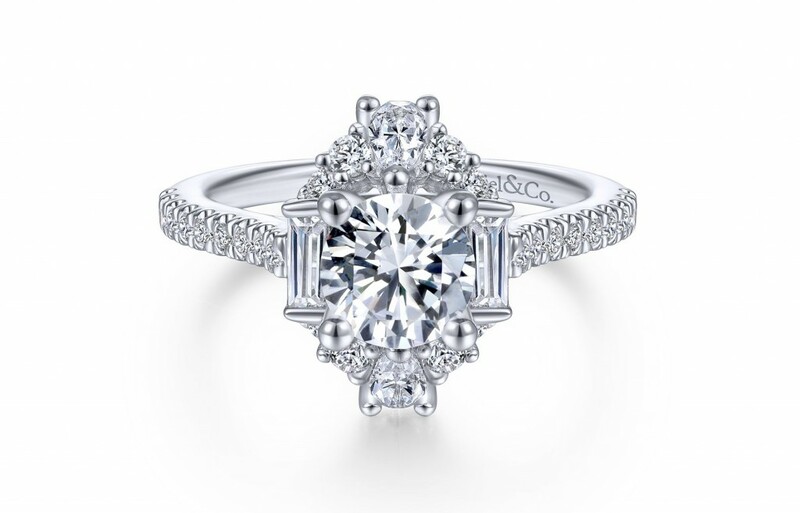 ER14508 (pictured above) is our new favorite engagement ring. This ring includes aspects of Art Deco, classical traits, as well as touches of contemporary. 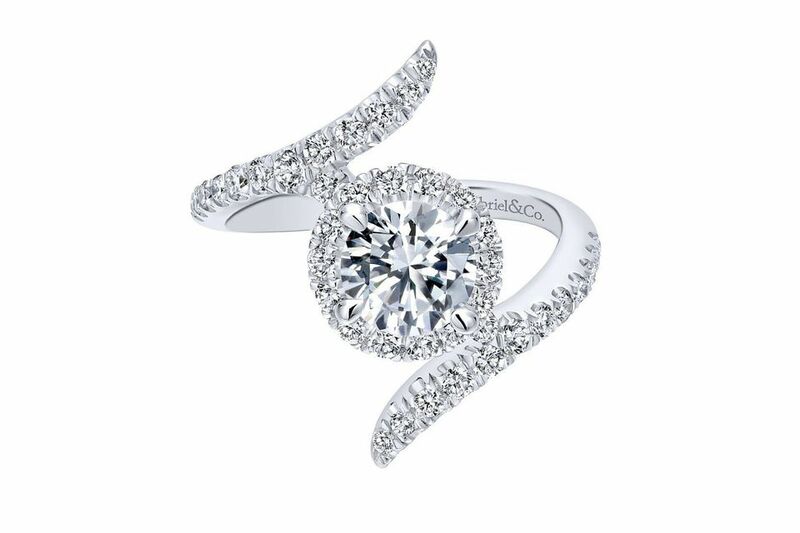 Overall, tell us why women should consider platinum for their engagement ring? There are many good reasons: It’s hypoallergenic, so it’s a great choice for someone with sensitive skin. It’s one of the strongest and most enduring metals in the world, and the most pure. It is very dense and has a nice weight. It also does not need to be mixed with other metals since it is true white and very strong on its own. For women looking for unconventional engagement rings, I love the Aurora ring and all the other designs part of your Nova collection. What was your inspiration behind this design and why do you think it has become so popular? Negative space has become essential in today’s modern jewelry design. We love this design element and decided to make it a part of our Bridal collection, while still maintaining a timeless feel. That is how we got the inspiration for the “Nova” Collection, since Nova is the Latin word for a new star in space. Thanks Dominick! Browse more Gabriel & Co rings here.